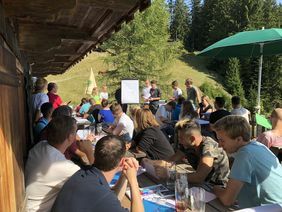 At the beginning of a new apprenticeship year, Fritzmeier organises an apprentice event with all trainees from all apprenticeship occupations. This allows everyone to get to know the new trainees and creates a sense of community. 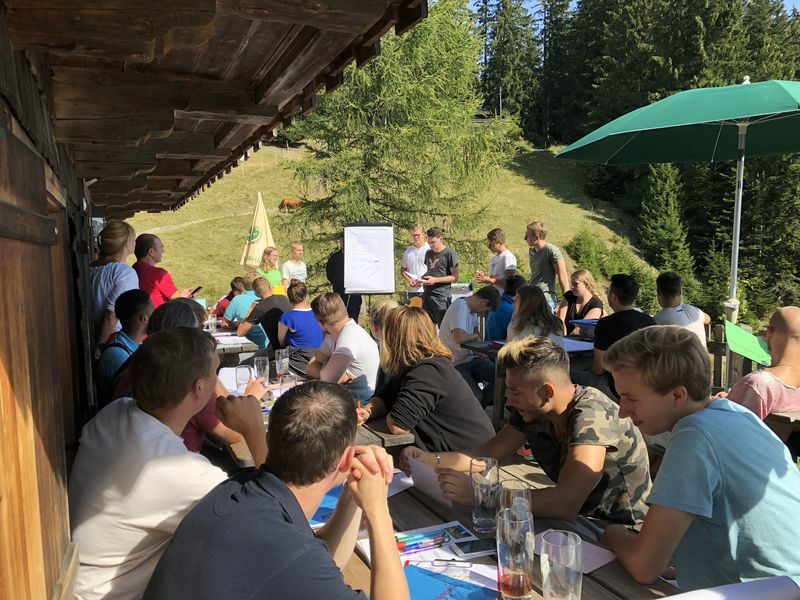 Just like last year, all trainees along with some training managers visited the Gindelalm hut in Schliersee on Friday, September 21, 2018. After the strenuous, approximately one-hour ascent, everyone was warmly welcomed with beverages, veal sausages and pretzels. This was followed by a workshop on "etiquette and rules of conduct in the company". During the workshop, the trainees worked in small groups to develop some rules on specific topics - such as how to use a smartphone, rules for discussions and trainee requirements. Afterwards, the results were presented to the large group. Around noon, they hiked back down the trail together and the trainees were dismissed for the weekend after the sunny trip into the mountains.